After a two-hour nap in Mojica Residencia Hotel, everyone is ready to take a walk in the cobbled Calle Crisologo, the main attaction in Vigan. 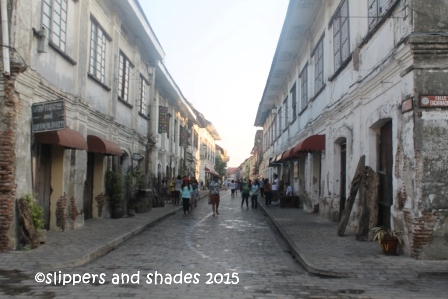 And I am so excited to see the Spanish colonial architecture of Vigan. 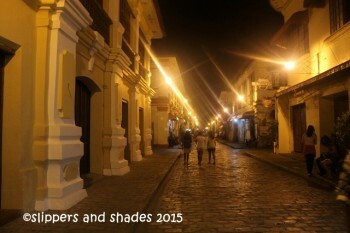 There are two main reasons why Vigan, also known as the Heritage City is so fascinating to visit. First, it is the only UNESCO World Heritage City in the Philippines. And second, it was officially declared as one of the New 7 Wonders Cities last December of 2014. I felt so proud!